Enterprise Rent-A-Car was founded in St. Louis in 1957 as a family-owned business and remains so to this day. So it’s not surprising that the company has been able to maintain a consistent level of that small-town customer service. 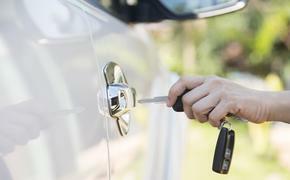 For the ninth time in 11 years, Enterprise was the highest-ranked car rental brand in the J.D. Power 2014 North American Rental Car Satisfaction Study. The Enterprise brand excelled in all six factors: costs and fees; pick-up process; rental car; return process; reservation process; and shuttle bus/van. Enterprise Rent-A-Car is owned by Enterprise Holdings, the largest car rental company in the world. Enterprise Holdings also operates the National Car Rental and Alamo Rent A Car brands. National ranked second in the annual study, followed by Alamo (tied for third) – with all three brands once again finishing above the industry average. The annual 2014 study surveyed leisure and business travelers who rented vehicles at North American airports. Both the Enterprise Rent-A-Car and National Car Rental brands were recognized earlier this year as J.D. Power Customer Champions. Five factors – people, presentation, process, product and price – were examined, with feedback, opinions and perceptions primarily gathered from J.D. Power’s syndicated research in 2013. Only 50 brands total earned this distinction, and Enterprise and National were the only two car rental brands to be recognized as Customer Champions.